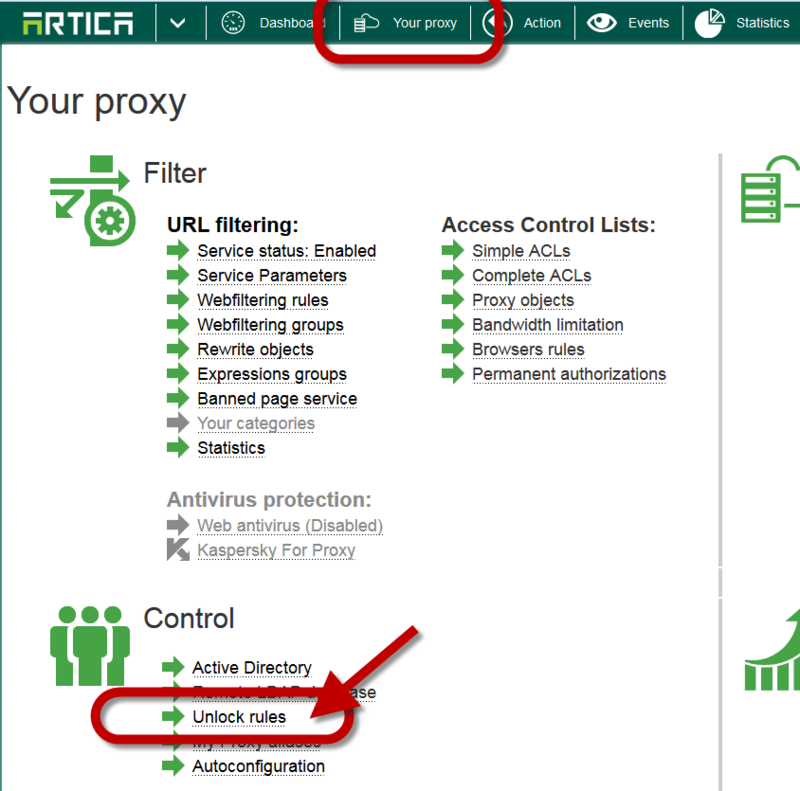 The unlock rule using tickets allow the proxy to send an email notification to administrators if your users encounter a blocked page. 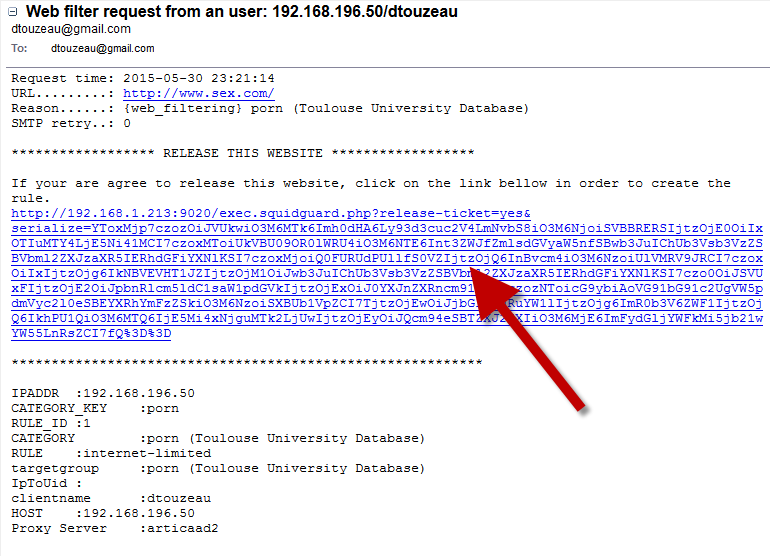 In the received mail, administrators get a special link that unlock the web page for a period. 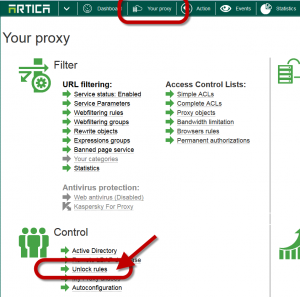 Select Your Proxy on the top menu. Define the SMTP parameters and test it to see if parameters are supported by your mail server. 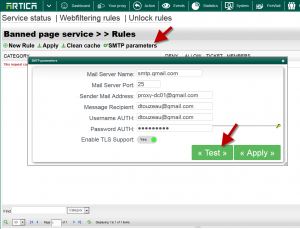 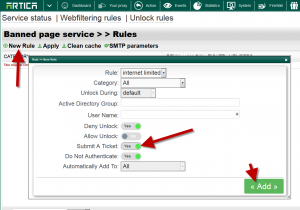 Define when the rule should match web filtering rules. 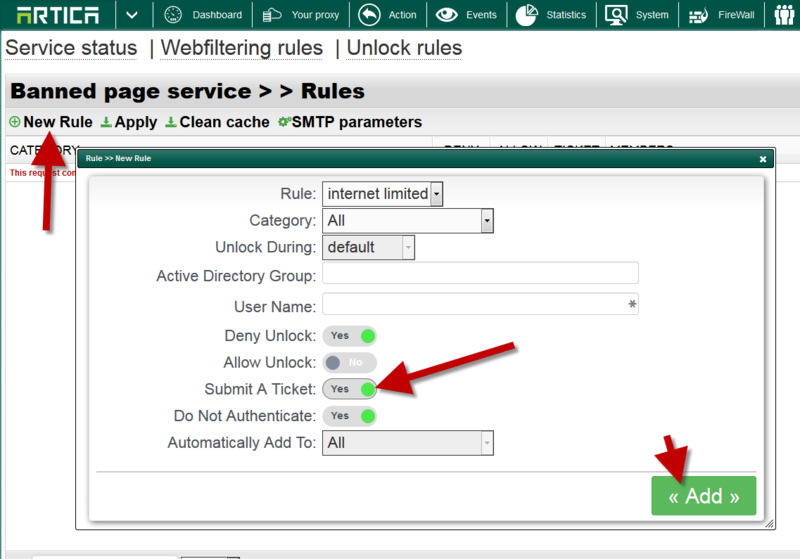 You can see your Unlock rule on the table. 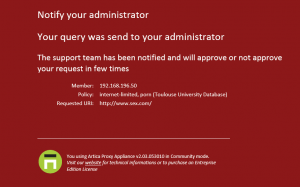 A mail message is sent to defined Administrators. 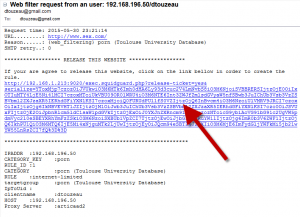 In the message, there is a link to release the locked page for the user.